Our environment is now permeated by anthropogenic radiofrequency electromagnetic radiation, and individuals of all ages are exposed for most of each 24 h period from transmitting devices. 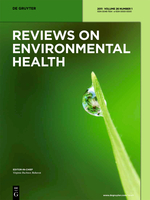 Despite claims that children are more likely to be vulnerable than healthy adults to unwanted effects of this exposure, there has been no recent examination of this, nor of comparative risk to the elderly or ill. We sought to clarify whether research supports the claim of increased risk in specific age-groups. First, we identified the literature which has explored age-specific pathophysiological impacts of RF-EMR. Natural life-span changes relevant to these different impacts provides context for our review of the selected literature, followed by discussion of health and well-being implications. We conclude that age-dependent RF-EMR study results, when considered in the context of developmental stage, indicate increased specific vulnerabilities in the young (fetus to adolescent), the elderly, and those with cancer. There appears to be at least one mechanism other than the known thermal mechanism causing different responses to RF-EMR depending upon the exposure parameters, the cell/physiological process involved, and according to age and health status. As well as personal health and quality-of-life impacts, an ageing population means there are economic implications for public health and policy.